BINGO is BACK!!! Starting at 6:00 on Tuesdays! 10 rounds, progressive coverall, max payout is $1,000! Games 1-9 are $1.00 and game 10 is $2.00. Progressive Jackpot will increase $25.00 each week and one number! New this time is "The Bingo Box" - reserved seating for those who wish to “give more”. In this section you receive drink specials and food discounts, in return you agree to donate 10% of your winnings back to the kids! It’s a win/win, when you play your Bingo in the Box! Grab anywhere from 10-20 of your friends and we will pick you up and drop you off at a designated site in our BINGO Bus! Ask for Details! 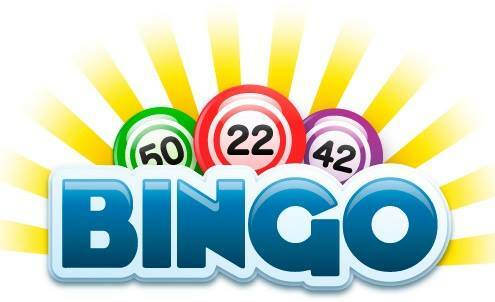 After Bingo, stay and play one game of Bargo hosted by The Woods! Free to play! Coverall starting in 46 numbers or less will score you a brand new TV!! The number will increase every week and the consolation prize is a $15 Woods Gift Certificate!